There are at least 3 billion video views a day on Facebook. Think about that for a minute, 3 billion! That number is insane. Now, let’s look at another fact: Socialbakers reports that, “the average video post is seen more than twice as often” in comparison to any other type of post. 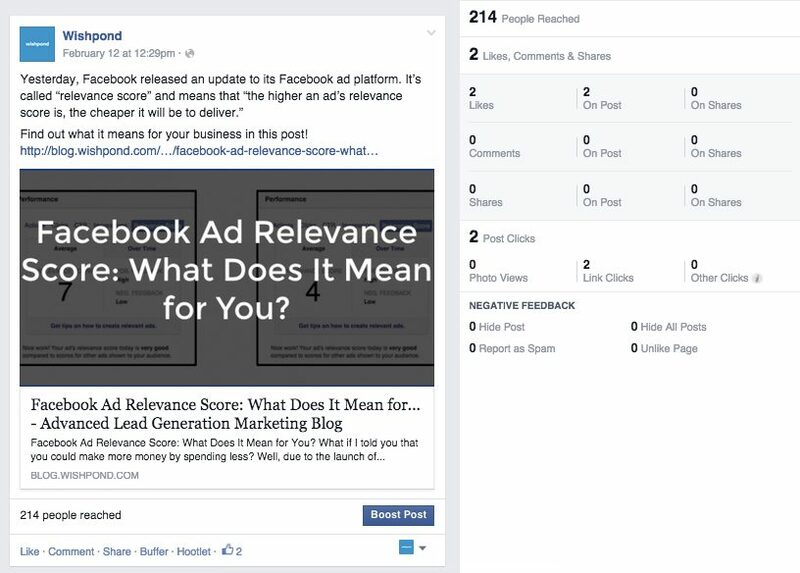 If you don’t believe me, post a random video to your Facebook Page and see its organic reach skyrocket, and/or read this post and trust that I’m giving you the correct information. In this article I’ll be sharing our - the Wishpond teams’ - experience with using videos in our posts over the past month. Let me take you back to February 7, 2015 when we were having our weekly content meeting to brainstorm ways to make you, our lovely readers, more engaged. I had an ‘aha’ moment and thought it would be cool to start adding videos to our articles. Armed with a green screen, DSLR camera and Final Cut Pro I got to work creating my first ever personalized video to add to the top of my article entitled: 5 Email Drip Campaigns That Work. I added the video to my article but also included it when I shared the article on the Wishpond Facebook Page. I was blown away with the results. 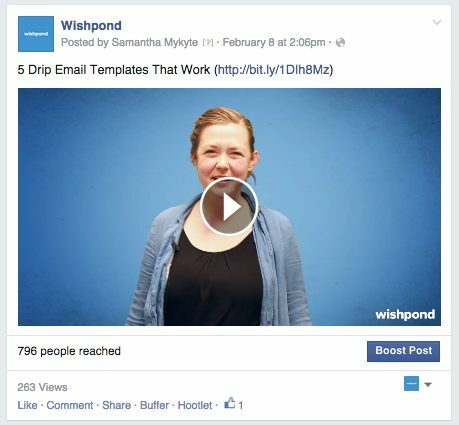 Wishpond’s organic reach for video was double that of text only, triple that of picture posts, and quadruple what we were getting for links. My first thought was, “this can’t be right, there must be something going on with Facebook’s algorithm, this was just a mistake that slipped through,” but then we tried it again with a video from Claire, and another from James. To give a fair warning, a video will count as ‘viewed’ if someone watches it for 3 secondsor more. This means that although it appears that a lot of people ‘viewed’ my video, they may have been scrolling too slowly and didn’t mean to ‘watch’ it per-se (as it’s auto-play). However, just because there were some people that didn’t mean to watch it doesn’t dilute the fact that people also totally did. The average watch time was 13 seconds and at least 52 people watched the whole thing. Furthermore, the link above the video received 11 clicks, a number higher than any other post we’ve created since organic reach decreased at the beginning of January. Only 214 people were reached and a mere two people clicked on the link I posted. The most recent video post was for my co-worker James’ article 13 Facebook Ads We Got That Were Right on the Money (and Why). Do you think the organic reach on this post increased or decreased? It stayed exactly the same and didn’t effect the reach of any of our other posts. Although we found that (again) the majority of viewer traffic dropped off relatively early, we still had 10 people click through on the link. Plus we reached 748 people! At the very least we’re creating brand awareness for those people who ‘Liked’ our page and may have forgotten about us. 1. 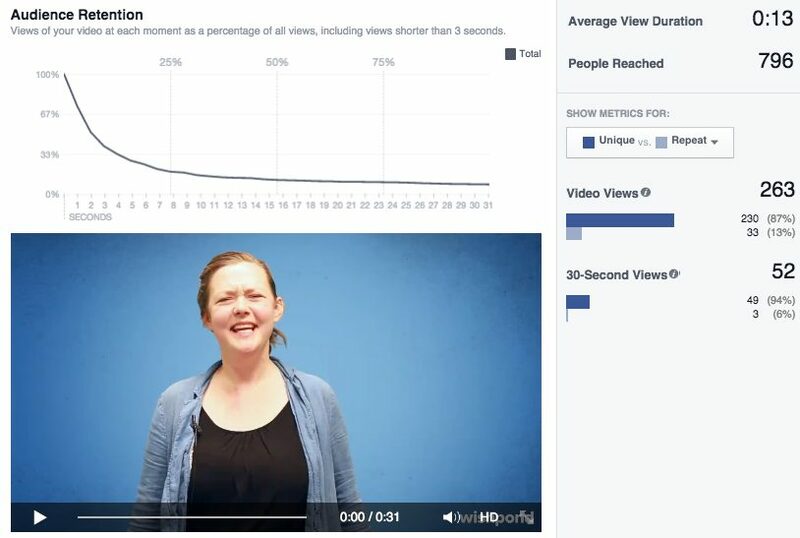 Should you use videos in your Facebook post? When you post a video, even if the majority of people aren’t actually watching the entire thing, the post will inevitably reach more people. No matter what, you’ll be reaching more people who actually want to engage with your content even if this means reaching people who don’t. 2. Should you only post videos on Facebook? Just because video posts have a higher organic reach doesn’t mean that you should only post videos. The entire point of Facebook rewarding video posts in the first place is that people were putting an overemphasis on photo sharing. Don’t create the same kind of thing with videos. Like anything, you’ll always get a better result if you do something in moderation. This means sharing all types valuable content (like slideshares, infographics, and podcasts) with different posting formats. 3. Is it hard to make a video? Hard? Not particularly. Easy? Not really that, either. Creating quality videos take time. We (and by ‘we’ I mean the Wishpond content team) don’t just record, upload and say: “alright, it’s good to go.” We have a mindfully thought out step-by-step process to follow so we only deliver you the best videos. Intense right? And this doesn’t even include the fact that we’re lucky enough to have access to editing software, a microphone, camera and (if we need it) a green screen and studio. That said, if you’re interested in testing video posts for yourself, you can create something pretty awesome with just your smartphone. 4. Do you plan on testing out different types of videos? In case you were thinking that our videos aren’t the greatest (yet) we’re still new to the video game. We’re playing around with what works best and trying everything we can to boost our engagement. The length of our videos: Currently they run between 15 and 30 seconds but we might try making them longer (or shorter). The visual appeal of our videos: We’ve tried out using a green screen and a background of the office. Perhaps we’ll test adding in different visuals from our articles, graphs, landing pages etc. The actual content within the videos: One of the first comments I received on my video was that they wanted to have more information about the article. I asked what that meant and they responded that they wanted more content from my article. This is something we are definitely going to test. I’m excited about this change, and I for one am going to make the most of it and hope you are too. 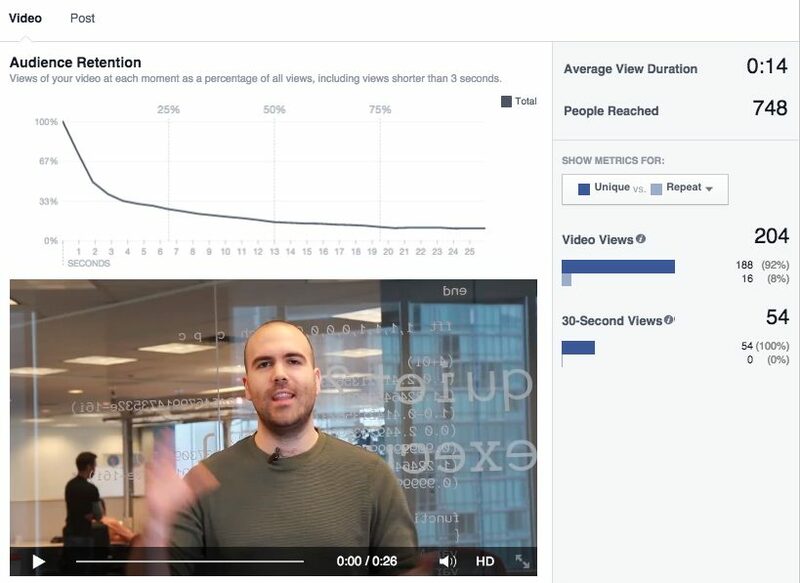 Have you started posting videos to increase engagement on your Facebook Page? Have you seen similar results or something different? And if you have any ideas or suggestions for our videos, let me know!